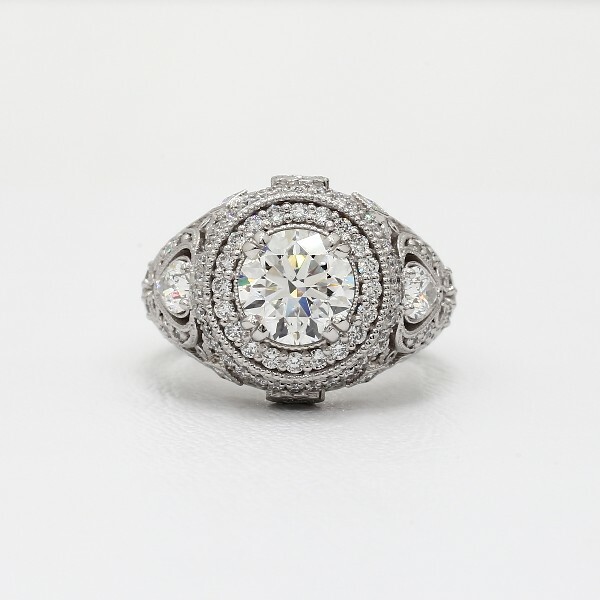 Make a show stopping statement with this diamond engagement ring. 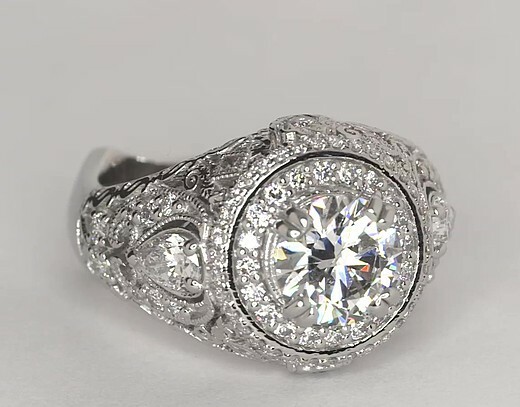 Exceptionally crafted in enduring platinum, this ring features stunning diamond accents, a double diamond halo, and intricate filigree details that elevate the look of your center diamond. This setting can be special ordered to accommodate a cushion, oval, asscher, radiant, princess, and emerald shape diamond as well. The Bella Vaughan collection marries the highest craftsmanship with elegantly inspired design. Each luxurious custom piece is designed to highlight your center stone in the most pleasing way possible and crafted in the USA.